Natalie Zuniga serves as the Director of Children's Ministry. Please contact her if you are willing to help with Children's Ministries. We welcome your children ages newborn to 3 years old in our nursery before our worship services begin. If you need free children’s clothes or want to donate clothes, the ongoing, year-round children’s clothing swap is for you! It is located upstairs, down the left hallway, second door on the right. 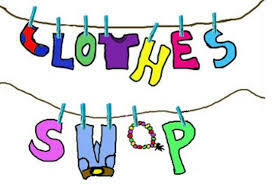 The clothing swap room is available during church office hours during the week, Sundays, and Wednesday nights. We also welcome your donations of washed, gently used clothing, jackets, shoes, and accessories. Jesus thinks kids are pretty important! AWANA presents an opportunity for each child to grow – to grow spiritually as they learn to know and love Jesus; to grow personally as they learn self-worth; and to grow socially as they learn to love others. On Wednesday nights from August 22 through April, Children’s Ministry rules! Almost 150 clubbers and leaders converge on our campus for AWANA Bible Club 6:15 p.m. until 8:00 p.m. The AWANA club is designed for children 3 years old to 6th grade. The club is divided into three groups: Cubbies (Pre-schoolers ages: 3-4 years old & potty trained), Sparks (Kindergarten through 2nd grade) and T & T (3rd – 6th grade). Club begins at 6:15 p.m. on Wednesday evenings with a joint Flag Ceremony. Throughout the evening clubbers will rotate through variety of activities that may include games, singing, handbook time, and lesson time.